Dr. Pon is deeply committed to working with children and their families and using a developmentally informed approach to psychiatric assessment and care. She has experience working with a variety of diagnoses, parents, couples and families, but she carries a strong passion for and specialized training in the assessment and treatment of young children (0-7). Dr. Pon completed her child and adolescent psychiatry fellowship at Stanford University, where she served as Chief Fellow. She enjoys working with adjustment difficulties, affective and anxiety disorders in adolescents and is excited to be part of the IOP team. 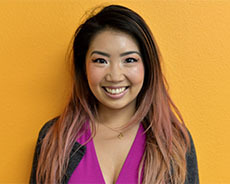 During her general psychiatry residency at Baylor College of Medicine, Dr. Pon trained at The Menninger Clinic in their Adolescent Treatment Program, where she worked intensely with patients and their families presenting with a wide range of struggles including disrupted attachment, complex trauma and emerging personality disorders, as well as mood and anxiety disorders. Dr. Pon has a strong interest in psychotherapy and believes in making every interaction therapeutic. She has received training in numerous modalities, including, but not limited to: psychodynamic psychotherapy, cognitive behavioral therapy, including CB-play therapy and trauma-focused CBT, dialectical behavioral therapy (DBT), exposure and response prevention (ERP), parent management training (PMT), parent-child interaction therapy (PCIT), mentalization-based treatment (MBT). She enjoys blending techniques and theories from various approaches in order to best meet a family and child’s needs.